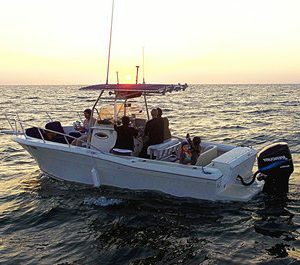 2 hours pacific blue water adventure or sunset cruise on 25′ center console speed boat, including fuel and captain. 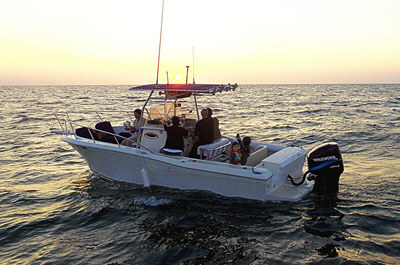 2 hours private whale & dolphin watching trip, or sports fishing. Fishing poles are rented at $30 each, or bring your own.